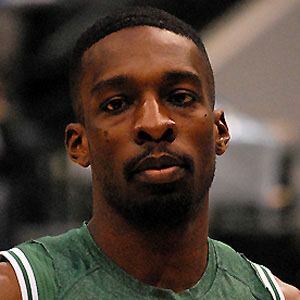 NBA small forward who began his career with the Seattle Supersonics in 2007; traded to the Boston Celtics in 2011 and overcame heart surgery to become one of the team's top players. He attended Georgetown University and helped the team reach the final four in 2007. While at Georgetown, he was honored as the Big-East player of the year in 2007. He was born to Jeffrey Green Sr. and Felicia Akingube and raised with a sister named Mia. After his surgery, the humble Kevin Durant dedicated his team's season to Jeff Green.